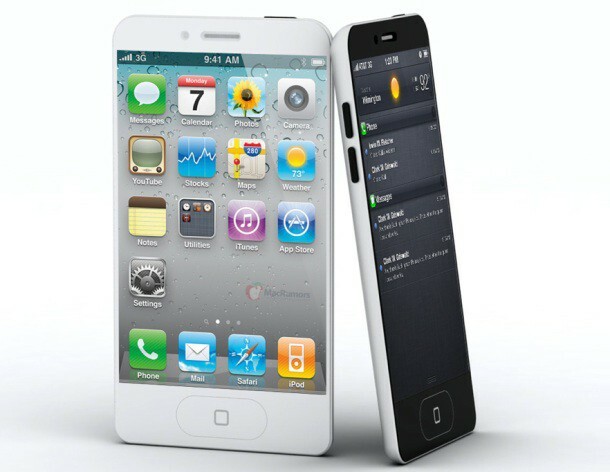 According to a French blog site, the highly anticipated iPhone 5 featuring a larger screen and a 19-pin dock connector will be released on Friday, September 21, 2012. Citing a source within China’s third largest accessory maker, App4phone.fr claims that Apple has released a few scant details to accessory makers, including a target date in late September. It could be true. Last year, Apple released the iPhone 4S on October 14, 2011, and while usually Apple tends to go by what they’ve done in the past, September 21st is close enough to early-mid October that there are any number of reasons why Apple might want to get out the next iPhone a little bit earlier: for example, to get it in more hands by Christmas. If the September 21st date pans out, that would imply that Apple will officially unveil the iPhone 5 ten days earlier, as they did with the iPhone 4S. Would Apple really announce a new iPhone on the anniversary of September 11th, though? We doubt it, but don’t think this is a dealbreaker: Apple could easily push the announcement a day earlier or a day later if they’re feeling like a 9/11 iPhone announcement would be in bad taste. Either way, you may not want to plug this date into your calendar. App4phone.fr is a site without an extensive track record, and until Apple sends out invitations, any possible iPhone 5 release date is just supposition.